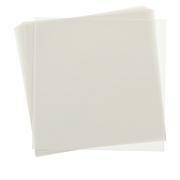 Give your cards, scrapbooks and more a regal look with these parchment vellum layers. 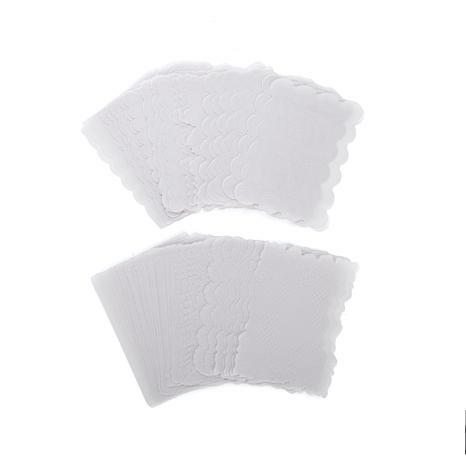 They're perfect for adding a little extra texture and a lot more elegance to your papercrafting projects. I haven't used these papers yet. I had to wait for the tools which I just received. I can't wait to work with the papers. I wish I ordered these sooner! After a long day at work its sooooo relaxing to come home and color on these beautiful layers. I love that I dont have to think because the gorgeous design is already on the paper. I just trace and poke holes! 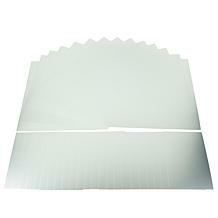 I love this product, it has truly beautiful designs and the paper is high quality. 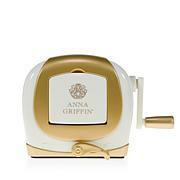 I have used it in Card marking and scrapbooking. It is just a elegant product. 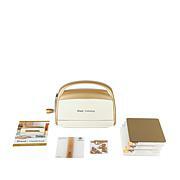 A Lovely sweet delicate touch is just what greeting cards need. Many of my cards are for senior ladies. 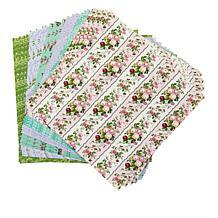 Which these sheets the cards are even more special. This does take a little time - and probably good eyesight - but the payoff is amazing. These are stunning and a very unique offering. I do hope anna continues to come out with more parchment sets and complementary sets over time as I love the look of this. All you have to do is be able to trace a line! People are so impressed with the look of these. Like fine fine lace.